In a special extended edition of the Vorpal Podcast, Batman correspondent Paul of Gotham joins us in the studio to cover everything we all need to know about Batman in Cinema. We light up the Bat-Signal for Michael Keaton Batman, Val Kilmer Batman, George Clooney Batman, Christian Bale Batman, Ben Batfleck Batman, and even the late Adam West Batman! 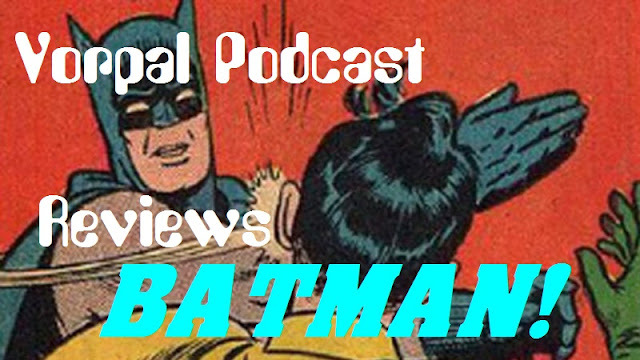 Its an episode bat-freaks and DC fans do not want to miss! Hey there Spider-fans! Your favorite wall-crawler is back in a brand new adventure. 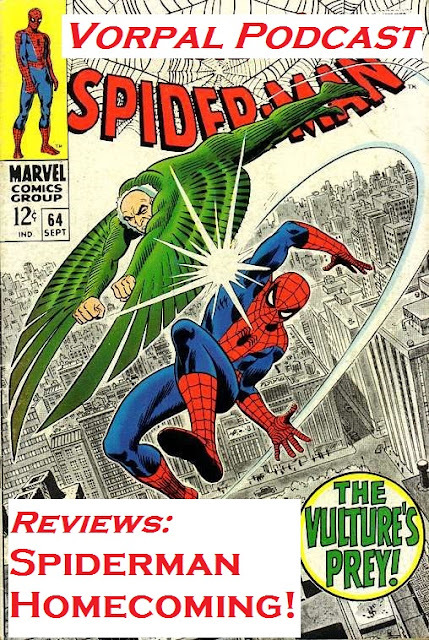 This time our web-slinging hero is up against the nefarious Vulture, who's gun-running criminal empire threatens the entire eastern seaboard, not least of which contains Spidey's own neighborhood! So put on your webshooters and give a listen as Cory, JC, and Suzy discuss the web-headed antics of SPIDERMAN HOMECOMING! Excelsior! The Power Rangers: A show from the 90's where high school kids find magic belt buckles that enable them to turn into ninja warrior dinobot robo-pilots. Yes, it was a strange decade, the 90's, yet I still look back on it fondly. It was back when they still made low-budget live-action sci-fi shows, and not everything sci-fi or comedy on TV had to be done with bad animation. Instead stories could still be told through the medium of bad acting. Truly the halcyon days. Power Rangers was a cross between Saved by the Bell and some Japanese Game Show that you accidentally stumble across after midnight while watching cable. Five very American hip kids with tight-rolled jeans, oversized cut-off sweatshirts and half-undone overalls would discuss some issue at school about bullies, and then a floating head would summon them to a giant spaceship and inform them that aliens were attacking, and then the kids would morph into a Japanese Action Monster Movie. You would then watch motorcycle helmet-wearing colorful ninjas fight guys in rubber suits somewhere in a California desert for the next twenty minutes. You wouldn't see the kids outside of their ninja fighting suits and helmets again until the credits were about to roll, and whenever they spoke the helmeted ninja would move his or her arms around really flamboyantly so the viewer could tell who was supposed to be speaking. It was fairly ridiculous yet pretty fun to watch back in the day. 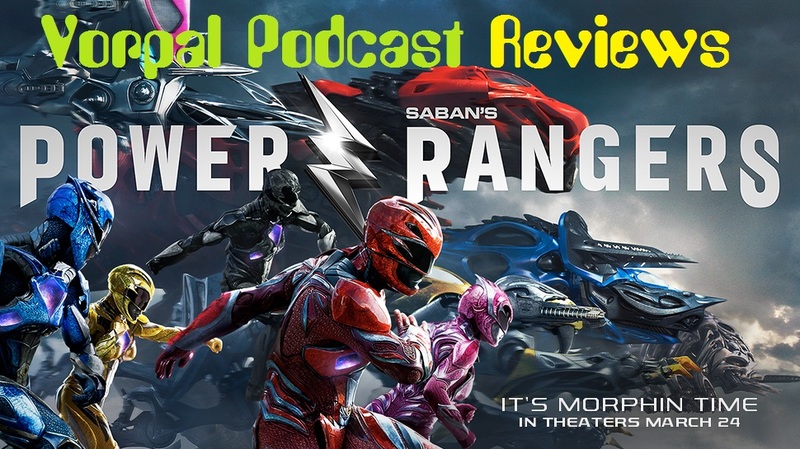 So this year they released a Power Rangers reboot movie, and a couple of the folks who listen to the Vorpal Podcast asked us to review it so they could hear our take. Since it was only in theaters for about a week before it went to video (which ...should've been a warning I now realize), Suzy and I decided to just rent it and do a live podcast review it immediately after watching it. Its fair to say we both were ready to Morph into rock monsters and join Rita Repulsa by the time this movie finally finished. I'm just going to go ahead and tell you, this movie did not have nearly enough Power Rangerin' in it. Plenty of teenager angst, but very little Mighty or Morphin at all. They also make it super clear this movie was heavily sponsored by Krispy Kreme. It was like Mac and Me, except without the cute little Coke-drinking alien who makes you want to keep watching.